Experts Center forÂ Training & Human Resources DevelopmentÂ has been accredited by the International Association For Six Sigma Certification (IASSC) to provide the examinations and training courses of Lean Six Sigma Black Belt, Green Belt and Yellow Belt. The International Association for Six Sigma CertificationÂ (IASSC) is a Professional Association dedicated to growing and enhancing the standards within the Lean Six Sigma Community. 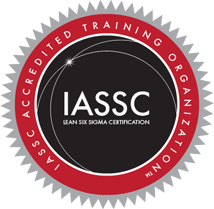 IASSC is the only independent third-party certification body within the Lean Six Sigma Industry that does not provide training, mentoring and coaching or consulting services. IASSC exclusively facilitates and delivers centralized universal Lean Six Sigma Certification Standards testing and Lean Six Sigma training program Accreditations.